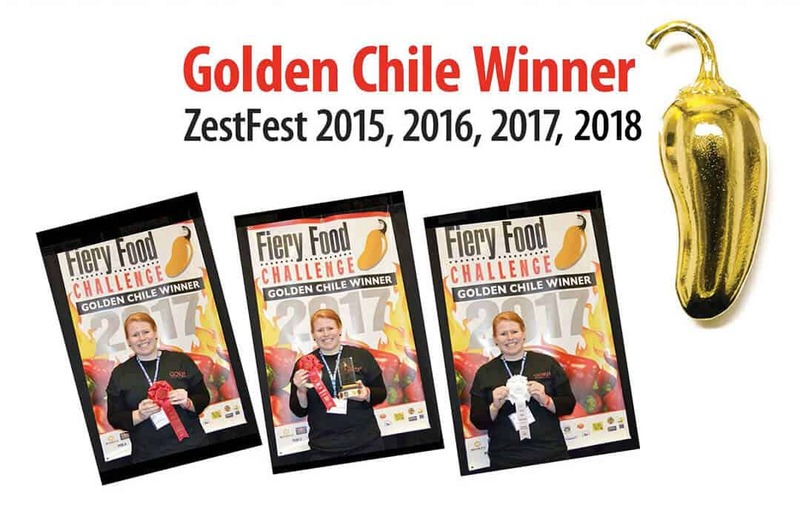 Gorji Gourmet Foods have won 17 food awards including 4 Golden Chile Awards in the Fiery Food Challenge competitions in 2016, 2017, 2018, 2019 at Zestfest held yearly in Irving, Texas. 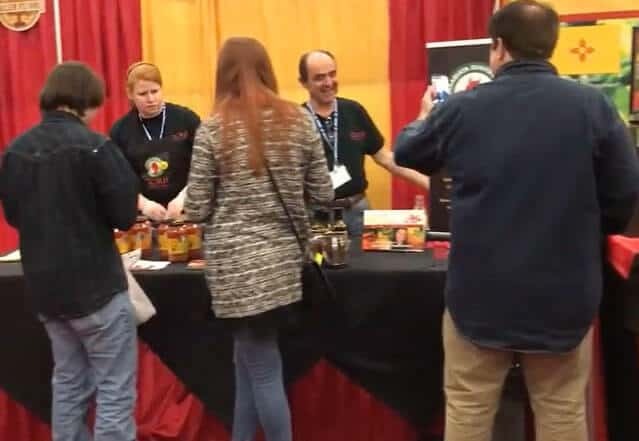 Professional judges at the spicy, zesty and flavorful food event taste hundreds of sauces, salsas and spicy treats from across the US and internationally to select the winners. It is one of the largest events in the country that showcases the zestiest products on the market. Gorji Gourmet Pasta Sauces Sweep Gold, Silver & Bronze Three Times for pasta sauces. In 2015, 2016and 2018 Gorji Gourmet sauces win Gold, Silver and Bronze. Puttanesca won the coveted Golden Chili Award with Arrabiata Diavolo with Silver and Pomodoro won Bronze.The spicy Arrabiata, the zesty Puttanesca and the not spicy Pomodoro pasta sauce swept gold, silver and bronze awards three times. 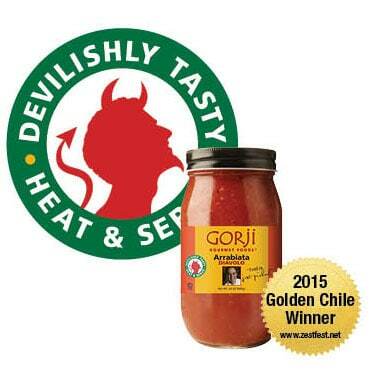 Gorji Gourmet wins Golden Chile Award four times in blind taste tests. It competed against products from all around the country at the 2015 ZestFest Fiery Food Challenge. See http://www.dallasnews.com/lifestyles/food-wine/foo…. 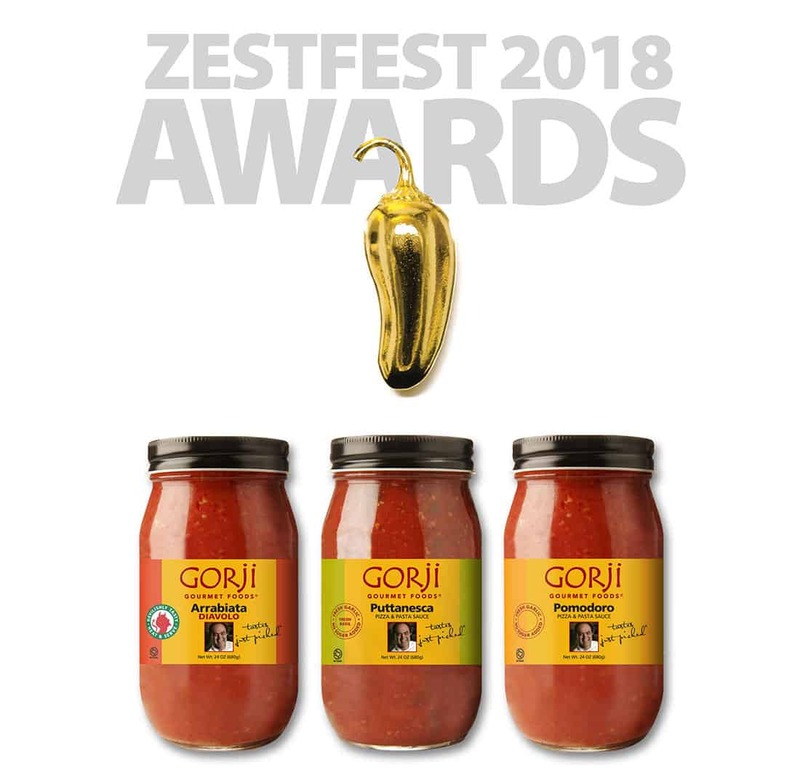 Between ZestFest and the Scovie Awards Gorji Gourmet Foods has now won 30 food competition awards! No Replies to "Gorji Gourmet Sauces Win at ZestFest Contests"